Looking for a property to rent in Ayr? Fill in the form and we'll contact you at your earliest convenience. Laird Erskine & Co Ltd have been offering great services for clients in Ayr since 1975. Premium locations, premium properties, competitive prices! Our company is an established and respected commercial and residential property company covering Ayr and Troon. You can trust our expertise and experience to find you the ideal place to live or set up your business. As a respected commercial and residential company, we bring a wealth of options for business start-ups or for people looking for a place to stay. We stand committed and ready to match your needs and requirements as we work with our clients. Contact us today on 07931 581 977. New to the market. A lovely bright and airy one bedroom flat with wooden flooring throughout. Tiled bathroom and fitted kitchen to a good standard. Part furnished and available now. 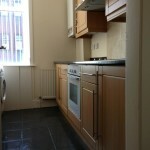 Close to Ayr college, town centre and train centre. 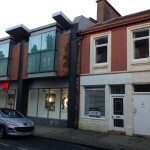 Unit 5; Cow Wynd Located in the private courtyard known as Cow Wynd, a development of four retail units accessed via a pedestrian path off Alloway Street, a busy main thoroughfare within Ayr Town Centre. Neighbouring within the development comprises of a craft shop, restaurant and beauticians. Access to public car parking at the rear is available. 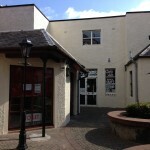 Description A single storey retail unit with hot food consent with direct frontage on to the shared courtyard. The shop has a return frontage and is entered via French doors with timber frame double door display windows in place. Internally the unit has been subdivided to form a main sales area with a kitchen and private toilet. Flooring is of concrete overlaid in tiles. A single toilet is located off the main area. Copyright ©2017. Laird Erskine & Co Ltd. All Rights Reserved.